We heard about the story of Stephen Murray and Stay Strong through our friends at Lakefest and wanted to share his inspirational story with you. 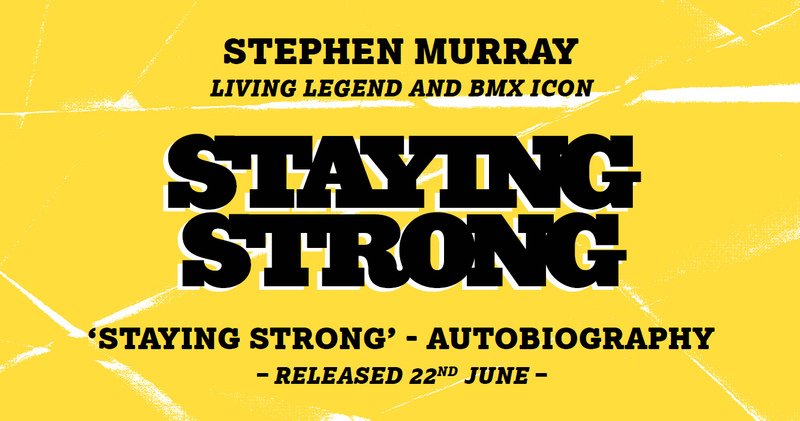 Staying Strong, the autobiography of Stephen Murray, will be a raw, inspirational story that will become a collector’s item and a ‘must have’ for every Action Sports fan and beyond and for anyone who, when they think they’ve got nothing left, can look inside themselves and ‘dig deeper’. confined to a wheelchair. When asked what his ambition for the future is now, after writing this book, Stephen replied: “I want to get out of this f*cking chair and hug my kids”. Stephens’s story is a rollercoaster of emotions – his story doesn’t have the ultimate happy ending whereby he is now able to walk, he is still paralysed but what it does detail is how to keep positive in the face of adversity, the power of staying mentally strong, living for your children and ultimately hope – he may walk again. Off the back of his accident, Stephen launched his own brand under the inspirational name of Stay Strong with the specific aim of delivering a positive message. The brand is now recognised globally due to Stephens’s already strong legacy left from his days as the No.1 ranked BMXer in the world. 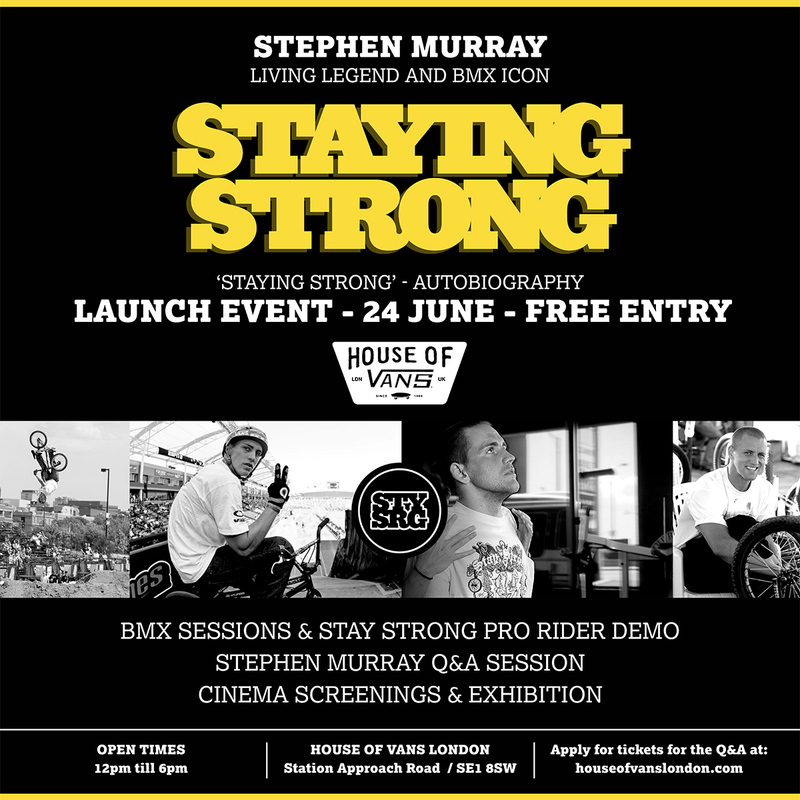 The launch event fro Staying Strong takes place on June 24th at House of Vans. Full details can be found below. Follow Stephen and Stay Strong on Twitter, Facebook and Instagram.